Books, Stories, and Novels like the 'World of Warcraft' game! 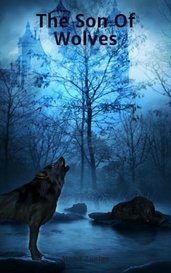 A newborn child of Goddess and God, Mother Nature and Father Time is abducted and thus a journey between a wolf noble named HowlShriek and The Prince Kal'roah, begins to return the child home. "With all that said and sorted let's get down to business. Time to go and find the Dragons." 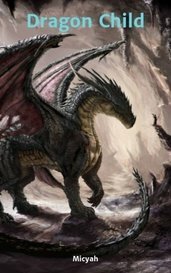 Two teenagers with special powers mentored by an ancient dragon must thwart an awakening dragon's doomsday plans. The girl stormed out of his closet in a rampage- he shielded himself with his Batman comforter. What else can you do in response to a pretty girl? The past does not leave us. It only comes back to haunt us. A dark past is about to come to rain horror onto Syniden. Have you ever what would happen to the universe if it had to one day be saved by a moron? Well, enter Nabal Buth, a brainless prankster who must save a magical realm created by the Author. "Mine," he holds my arm in a bruising grip, cradling my unconscious, malnourished sister with his other hand as he drags me along. While the story of Maxen has not ended, it grew entwined with that of Bridgette. In her youth her mother striped her of magic to save her but now it returnes as Maxen gathers his Fay Knights. You fight so doggedly for those in this world. But have you asked yourself what the both of you would do, knowing the world would not wish you in it? It's 1998, and a man with a driver's license thirty years out of date has been found. This would be insignificant, but he looks exactly like he did thirty years ago. Today she died - Tomorrow, they would ask her to save their world. - would you? A spellbindingly romantic, magical fantasy adventure that every fan of Throne of Glass and Harry Potter should read.